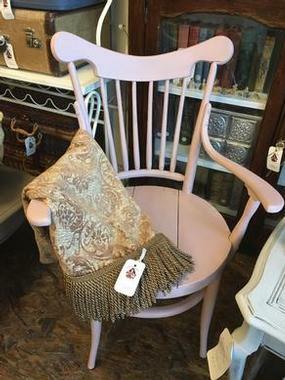 We've upstyled this antique bentwood chair with our Country Chic Enchanted color. A beautiful warm country shade of pink. Priced to go at $90.